It took a group effort, literally, to bring in this 80-pound yellowfin on a picture perfect offshore trip this past weekend. 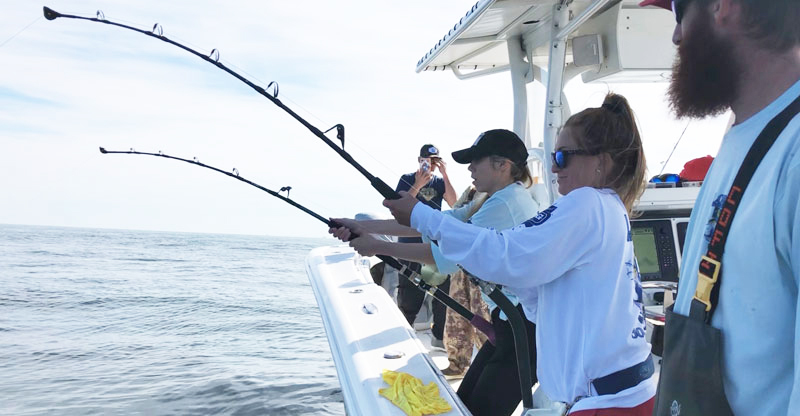 Katie Duplass was fishing the lump 30 miles offshore with friend Jamie Tucker when lo and behold on the first chum drift both rods went off. “We realized that we hooked the same fish which ate both baits!” Duplass said. Both Duplass and Tucker reeled in the fighting tuna for about 20 to 30 minutes before getting him to the boat. 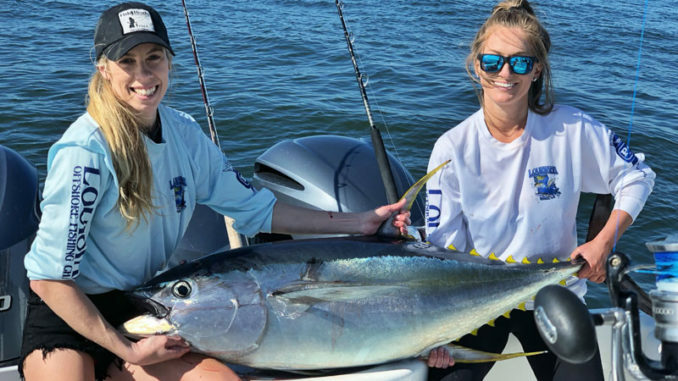 “We got him and were so excited and happy that we both hooked him!” enthused Duplass, who added that it was an amazing feeling to fight the same tuna with her friend on this perfect offshore day that produced nothing but smiles. They were fishing with Capt. John Duplass of Louisiana Offshore Fishing Charters out of Venice and ended up with over 240 pounds of sushi for the day.